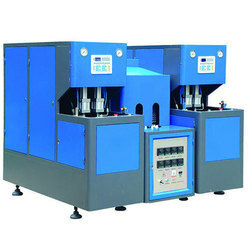 Prominent & Leading Manufacturer from Hyderabad, we offer 20 litre pet bottle blowing machine, pet bottle blowing machine, auto drop pet blowing machine, bottle blowing machine, fully auto pet blowing machine and pet jar blowing machine. 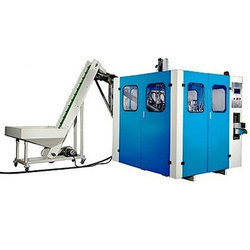 We are the leading manufacturer of 20 Litre PET Bottle Blowing Machine in terms of quality and satisfaction for our valuable customer. 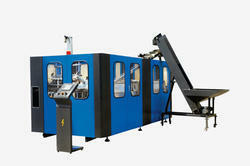 Matching up with the requirements of our clients, we are involved in offering Auto Drop PET Blowing Machine. 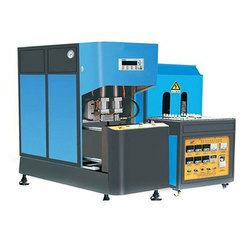 Enriched by our vast industrial experience in this business, we are involved in offering an enormous quality range of Bottle Blowing Machine. 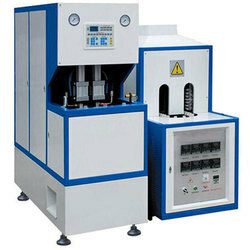 We are highly acknowledged organization engaged in presenting a remarkable range of Fully Auto PET Blowing Machine. 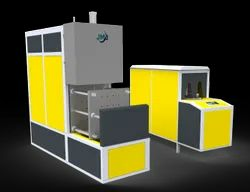 Our company has gained name and fame in presenting PET Jar Blowing Machine.